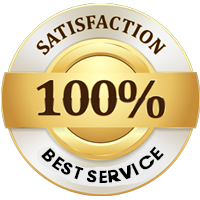 We pride ourselves in offering both the fastest response time and the highest level of service in the Cambridge, MA area. We aim to respond to every call and be at your location in no more than an hour. Our technicians arrive with our specially designed mobile workshop, so they can begin work as soon as they arrive. We offer our full range of services 24 hours a day, seven days a week, and we don't take breaks for holidays. Some garage door repair companies hire under-qualified technicians or skimp on training to save money. Some will subcontract work out to other companies that are not as qualified or may employ general laborers who are not trained as garage door repair specialists. It's an unfortunate reality of the industry, and one that you have to watch out for. Eagle Garage Door does not engage in these business practices. All of our technicians are internally hired, have appropriate qualifications that we verify and are subject to background checks. Our technicians must meet thresholds of education and hands-on experience before they are sent out on a call. When they arrive on site, we want you to be certain that they are trained and experienced in whatever service you have requested. Repair of garage doors is a serious matter due to safety concerns. These doors are heavy and are capable of causing major damage to person and property if they fall unexpectedly or fail to close properly. For this reason, it is very important to call a professional repair team like Eagle Garage Door to avoid potential mishaps and liability issues. We have been serving the garage door needs of Cambridge for many years and have the experience to handle any task safely and efficiently. 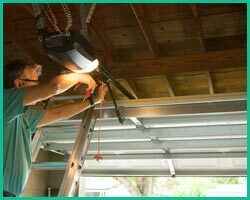 The garage door is a mechanical system made up of cables, pulleys and springs that are under a considerable amount of pressure at all times. As is natural with such mechanical systems, parts will wear down over time. Regular preventive maintenance checkups help to ensure that the door doesn't experience catastrophic failure out of nowhere. As the saying goes, an ounce of prevention is worth a pound of cure! Eagle Garage Door provides comprehensive checkup and maintenance services that help to greatly extend the useful life of any garage door. Components such as the springs, panels and track assembly are carefully examined to ensure that they are adjusted properly and are not showing unusual signs of wear. 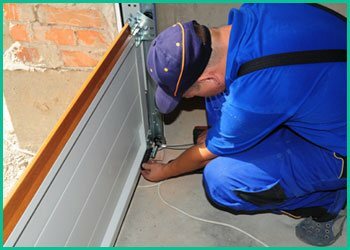 All of our maintenance services are thoroughly documented, and the technician will clearly explain the condition of the door and its parts when they are done. They will also articulate any repairs that they feel may be necessary and will give you an accurate estimate when requested. 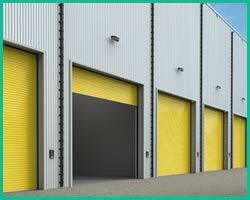 A garage door can come off of its track for a variety of reasons. The most common reason is that there was some forceful impact, usually from a vehicle accident or from someone attempting to force entry from the outside. If the motion sensor that is supposed to automatically stop the door when an object is present malfunctions, the door may land on something and come off of its track as well. If the cable that raises and lowers the door fails for some reason that can also cause the door to move off of its track. Once the door is off its track, it will no longer function properly and will likely be stuck in place at the point the malfunction happened. At this point, it's time to call out a Eagle Garage Door technician. Without being properly aligned, the door cannot move through its full operating range. This is a dangerous repair to attempt for those who are not trained, as the garage door is extremely heavy and can cause serious damage if it falls. For this reason, it's very important o call one of our professional technicians if a garage door appears to have gone off its track.